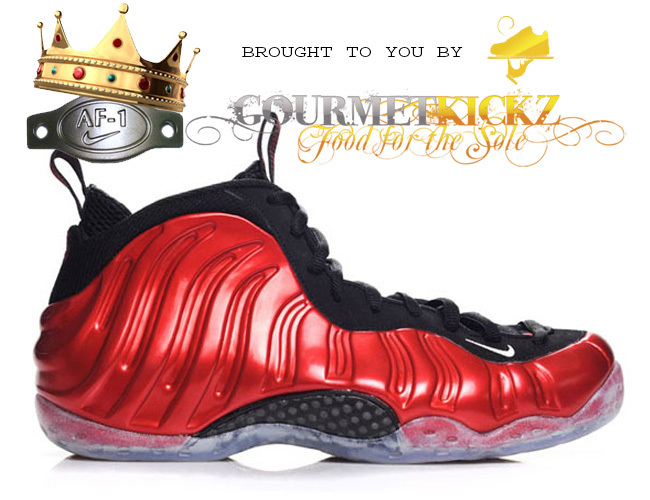 Metallic Red Nike Foamposite One Shipping Now! AF1King is over a week early on this drop, shipping our first shipment of Metallic Red Foamposites NOW! All pre-orders booked in advance ship first. No size 12 or size 14 were shipped this shipment, they will be fulfilled either on release day or with our restock shipment. Please check out the limited sizes we have available. Be sure to select a Foam Legacy T-Shirt to match! Scroll down after the jump to purchase or head on over to the buy the Metallic Red Nike Air Foamposite One now from the AF1King Store. One of the most iconic of the Retro x (10) Jordans is the Chicago colorway pictured above. These are the sneakers Michael Jordan wore upon returning to the Bulls from his first retirement. This colorway has never been retroed until now! The original version released in 1995 and differs only very slightly; the OG had a solid red lining. 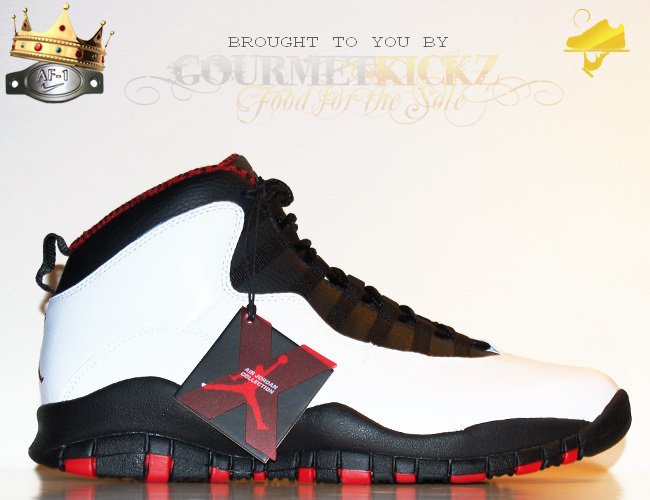 The “Chicago Bulls” Jordan X was released in 1995 as part of a regional pack that consisted of 5 teams: Chicago Bulls, Sacramento Kings, New York Knicks, Orlando Magic and Seattle Supersonics. Do not sleep on this shoe as you never when they will be re-retroed. See more pictures after the jump and select a size to purchase for your collection. These are already sold out in stores and even at premium prices, will surely sell out fast on af1king.com As always this website sells 100% authentic Nike goods. 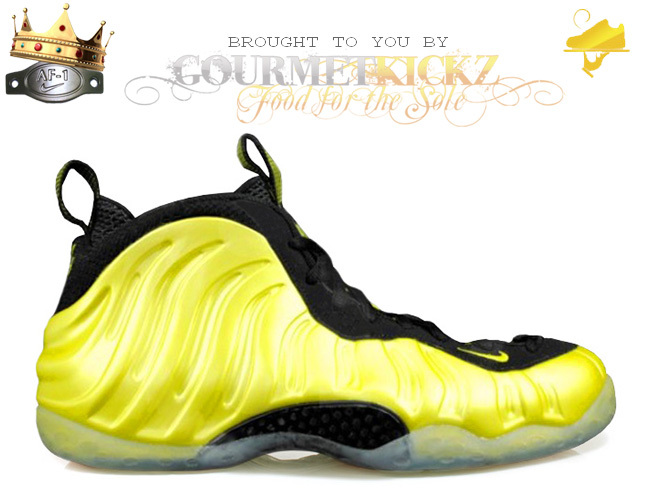 The latest installment in the Nike Air Foamposite family is this Electrolime & Black colorway. The Electrolime Foamposite One has been a highly anticipated released since it’s debut in Las Vegas at the SoleCollector Zoom Rookie LWP event. This shoe is a definite neck breaker and will surely gain you plenty of notoriety. It is available for pre-order now on the af1king.com store. It ships on the day of release March 17th, 2012. As with previous pre-order this shoe is subject to pricing and inventory changes. Also a small quantity and selection of sizes are available to be shipped now. Please check for your size after the jump and order your pair now.